Our goal is to help you find your perfect home with the least possible time and cost invested. The more we can assist you "up front" the more efficient and enjoyable the entire process will be for you and your family. As relocation experts who have "been in your shoes" we understand how stressfull, and exciting, relocating can be. Our team will guide you through the entire process including destination information, house hunting, relocation planning, mortgage financing and purchasing of your home. 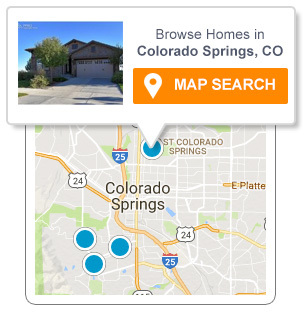 We will provide detailed information so you can quickly identify the Colorado Springs communities that most closely match your lifestyle and financial requirements. Whether moving from out of town or across town, we strive to listen closely to your needs and only show you properties that match those specific desires. We realize how precious your time is especially when your schedule is limited. Our lenders offer pre-approval programs that give you a head start on the mortgage and house-hunting process. This allows you to save time during the selection process and to be ready for quick loan approval when you've found your ideal home. The result is a shorter home finding process, greater leverage in negotiating and faster closings.